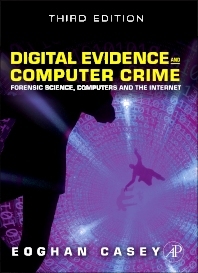 Digital Evidence and Computer Crime, Third Edition, provides the knowledge necessary to uncover and use digital evidence effectively in any kind of investigation. It offers a thorough explanation of how computer networks function, how they can be involved in crimes, and how they can be used as a source of evidence. In particular, it addresses the abuse of computer networks as well as privacy and security issues on computer networks. This updated edition is organized into five parts. Part 1 is about digital forensics and covers topics ranging from the use of digital evidence in the courtroom to cybercrime law. Part 2 explores topics such as how digital investigations are conducted, handling a digital crime scene, and investigative reconstruction with digital evidence. Part 3 deals with apprehending offenders, whereas Part 4 focuses on the use of computers in digital investigation. The book concludes with Part 5, which includes the application of forensic science to networks. New to this edition are updated information on dedicated to networked Windows, Unix, and Macintosh computers, as well as Personal Digital Assistants; coverage of developments in related technology and tools; updated language for search warrant and coverage of legal developments in the US impacting computer forensics; and discussion of legislation from other countries to provide international scope. There are detailed case examples that demonstrate key concepts and give students a practical/applied understanding of the topics, along with ancillary materials that include an Instructor's Manual and PowerPoint slides. This book will prove valuable to computer forensic students and professionals, lawyers, law enforcement, and government agencies (IRS, FBI, CIA, CCIPS, etc.). Computer forensic students and professionals, lawyers, law enforcement, government agencies (IRS, FBI, CIA, CCIPS, etc. ).